I was intrigued with his story so I checked his book out at the Orem Public Library. I finished reading it this week. "Before leaving for the Navy, I had apologized to her that I hadn't gone to college, thinking how proud that would have made her. Momma surprised me by saying, "Boy, it's better to have a degree from God than from anywhere in this university system. If you got your degree from God, you don't need all this other stuff." In my mother's language that didn't mean an intricate knowledge of the Bible or religion was required. Rather, she was talking about self-knowledge, about an authentic belief system, an inner sense of oneself that never can be rocked. Others may question your credentials, your papers, your degrees. Others may look for all kinds of ways to diminish your worth. But what is inside you no one can take away or tarnish. This is your worth, who you really are, your degree that can go with you wherever you go, that you bring with you the moment you come into a room, that can't be manipulated or shaken. Without that sense of self, no amount of paper, no pedigree, and no credentials can make you legit. No matter what, you have to feel legit first." I appreciate the wise words of Chris Gardner's Momma. Are you sure you are spelling "The" title correctly? Sounds like an uplifting book. That is so funny you blogged about this because Friday night I finally watched "Walk the Line." I loved the cinematography so much that I "imdb"ed the director of photography, Phedon Papamichael. 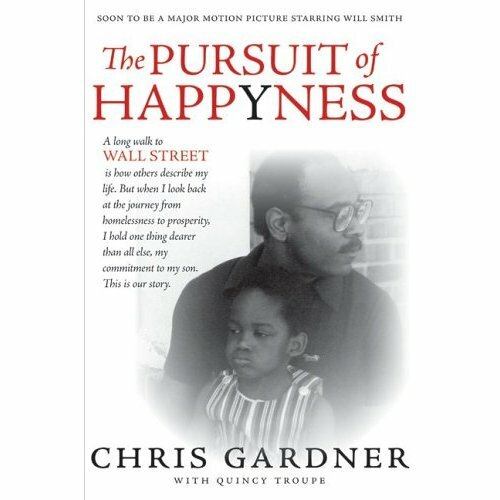 Anyway, he is the director of photography for "The Pursuit of Happyness" as well. I thought the movie sounded interesting but didn't do any further research on it, so I'm glad you did! All I know is that it is in post-production as we write.